Our commitment to your family & loved ones is that you are in Safe Hands! You can attend evening parties without interrupting your regular daily plans. Our professional chauffeurs will bring you in your own vehicle to your doorstep at reasonable cost! Traffic Fines up to Rs.25,000/- and Suspension of Driver's License up to 90 Days for drink and drive. YouDrinkWeDrive is a professional service provider to ensure you are not behind the wheel under influence. We are a service company in drink drive category operating from Colombo and providing service throughout western province in Sri Lanka . 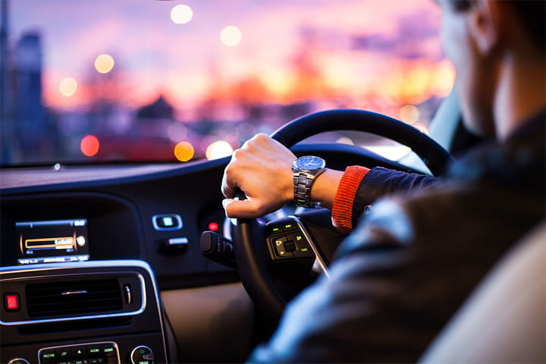 We provide fully trained, pleasant, fully vetted and licensed drivers who pride themselves in their knowledge of the local area and outstanding customer relationships. Be smart and decide right; never to worry over suspending of driving license or leaving your car unattended. Our professional chauffeurs will bring you in your own vehicle to your doorstep at reasonable cost without having you to drink and drive! "You Drink We Drive" is there for you. You'll never regret using our service to drive your car with competitive rates, professional drivers and friendly staff. Guess you have been out celebrating a birthday, anniversary or a business deal, or you have been out enjoying with your friends, make the smart decision to call or online book YouDrinkWeDrive. We are at the reach of your fingertips! We assure you a service worth the cost; components of total cost being elaborative and transparent. Our professional and friendly drivers will always be at your command to provide a service of unparalleled satisfaction. Very professional chauffeurs and your service delivers value for money. Thanks for bringing me home safely. Your chauffeurs are supper punctual, systematic & very polite. I am sure who use them once will use them again and again due to excellent customer service. Jagath Kumburu Gamage Director , OVIKLO International ( Pvt ) Ltd.
Mr.Rukmal Thilakarathne A.Baur & Co.(pvt) Ltd.
* This is an estimated fare and subjected to change based on route taken and waiting time. 15 minutes from reserved pickup time is offered complimentary and additional will be charged in Rs 250/= per 15 minutes slots.